Afternoon tea is a British institution. It is the perfect opportunity for a friendly catch up, a family outing or a pit stop between shopping and theatre. Here is our selection of London’s best offerings – from edible art pieces, to bottomless “gin teas” – perfect for those who want to experience tradition with a modern twist. 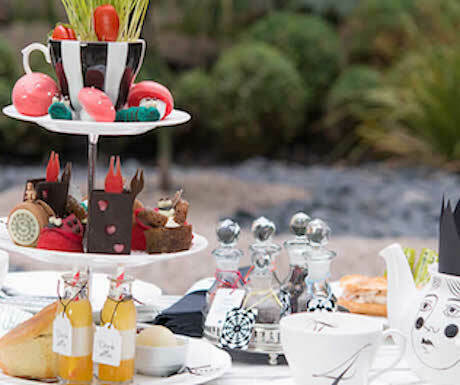 Tumble down the rabbit hole for a fairy-tale tea party, inspired by Lewis Carroll’s “Alice in Wonderland”. Menus hidden inside vintage books, teapots adorned with kings and queens, and plates decorated with birdcages and carousels all add to the magic. Expect delicious sweet treats, like the coffee-flavoured pocket watch macaron, alongside an original selection of sandwiches, such as the goat cheese croque-monsieur and white crab éclairs. The Rosewood Hotel has just launched its Art Afternoon Tea experience, where the hotel’s executive pastry chef Mark Perkins takes us on a creative journey with pastries inspired by renowned artists. Eat your favourite art pieces by Yayoi Kusama, Alexander Calder, Mark Rothko, Damien Hirst, and Banksy. Art lovers will be blown away. £55 per person, upgrade to Champagne Afternoon tea for £65 per person, or Rosé Champagne for £67 per person. Experience the ambience of the iconic Mayfair bar while listening to live piano. Relish in a selection of delectable cocktails alongside sandwiches, cakes and macarons. Fans of scones will be disappointed to find none on the platter. However, the bottomless teapot of champagne or gin tea should make up for that! £38 per person, or £62 for a bottomless gin ‘tea’, or £72 for a bottomless champagne ‘tea’. The plush and powder-pink interior of the Gallery at Sketch is a perfect setting for a girly afternoon tea. Begin with a glass of rosé champagne and tuck into a selection of haute-couture finger sandwiches followed by an assortment of delicate pastries and macarons. Sketch is a favourite with the A-list crowd, so keep your eye out for familiar faces. £45 per person, or £57 per person with Champagne. 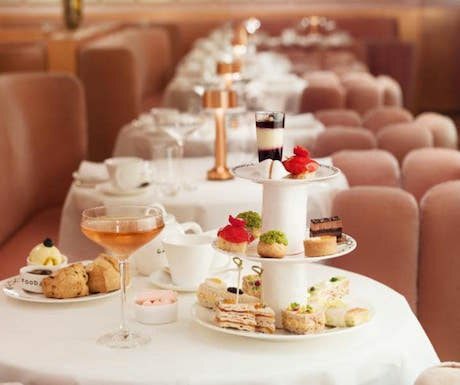 Those in town for the London fashion week cannot miss the Prêt-à-Portea at The Berkeley – an afternoon tea inspired by the themes and colours of the fashion world. 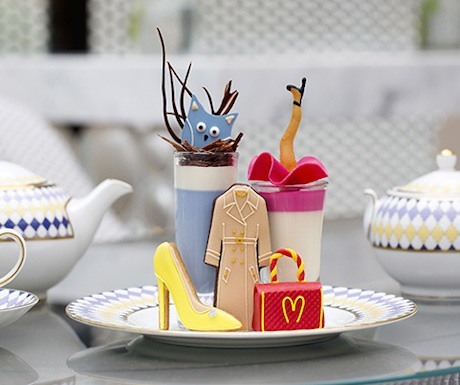 Expect biscuits and cakes in the shape of shoes and handbags, as well as a glass or two of fashion week’s favourite beverage – rosé champagne. The menu changes every six months to follow the changing seasons in fashion, so this is one that will keep you coming back! £45 per person, or £52 including a glass of Laurent-Perrier champagne. 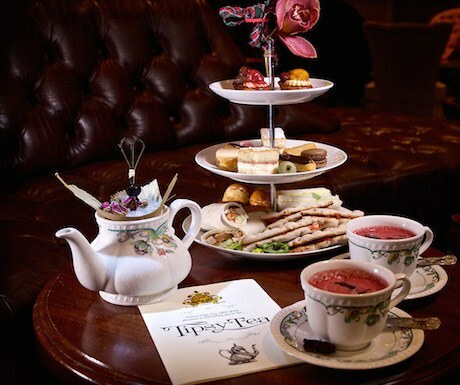 These are all so great, especially Mr Fogg’s Tipsy Tea. Though how can the Beauty and The Beast one in Kensington not be on the list! Thanks for sharing this blog. If you ask me, my afternoons are normally occupied with my tea making process. With Halmari, I have started to try different tea varieties like green tea, oolong tea, masala tea etc. I think most of the households will have similar stories to share and it has always been great reading blogs here.